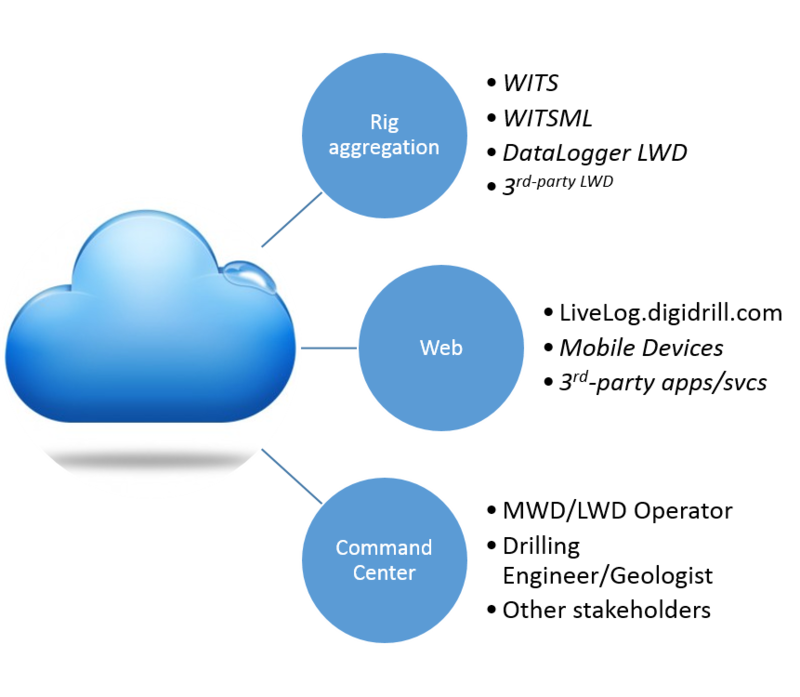 LiveLog is a real-time monitoring, control, and reporting platform for the digital oil field. Designed and built to support today's tight-oil market. The LiveLog platform combined with DayTracker reporting and metrics can reduce field costs and improve insight into drilling efficiency. LiveLog provides a powerful platform for both service companies (directional drilling/MWD) and E&P companies providing both real-time operating center (RTOC) and drilling reporting and optimization functionality. All operations that can be performed using DigiDrill DataLogger in the field can also be performed remotely. All you need is an internet connection! LiveLog provides a WITSML 1.3.1 interface for 3rd party integration and data consumption. Have a favorite geosteering package? Getting data from LiveLog is easy! For more focused and simplified integration with existing systems, LiveLog provides a REST-based web service API that is much easier to work with than WITSML and provides greater functionality. The DayTracker daily reporting and drilling optimization package allows for easier data entry, better metrics, and technical-limit drilling.